The awesome dudes at 514 in Montreal are hosting an amazing contest series called The King of Taz. Inspired by the awesome King of Quebec series from many moons ago, the contest has three dates, of which there will be a jam/ contest in different parts of the Taz. On the third and last date, the King of Taz will be crowned. This is a rad event promoting riders to ride everything but Liam at 514 also stressed that “you can compete in all or just 1 of the events. 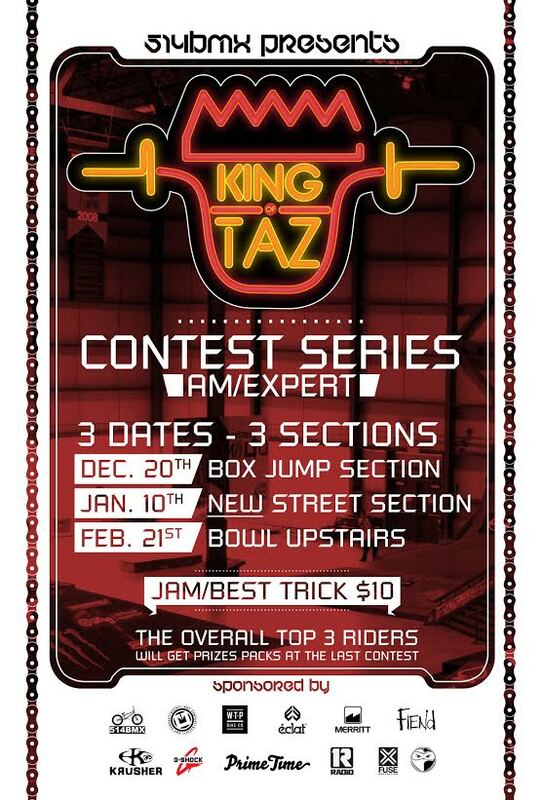 Of course the best chance anyone has a being crowned the King of Taz would be by riding in all three events but the park is open to riders also, the contest is just for those interested in competing.” This sounds like the best of both worlds, prizes at all three events, if your anywhere near Montreal make it out to this event!